1　The horizontal line of a bamboo joint. 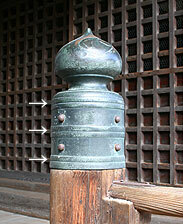 2　The line carved into the short posts at each end of the transom called *take-no-fushi ranma 竹の節欄間 to resemble a bamboo joint. See *wakishouji 脇障子. 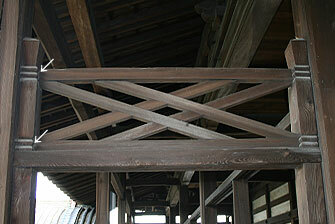 Simulated bamboo posts of this type are also often used for railings.